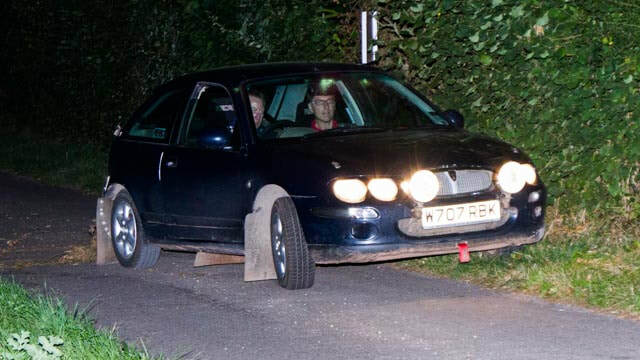 If you are reading this, then you have at least a mild interest in the running of such an event, or you have volunteered (or been volunteered) to run a 12 Car Rally. Please do not underestimate the time and effort that goes into organising one of these events. It is hard work. Sometimes frustrating and repetitive, but well worth the effort when it all comes together. If it's your first time organising, and you feel a bit unsure, just read this guide in it's entirety and you should glean enough information to raise your confidence. Also, and just as importantly, the BMC Committee is full of highly experienced Rally organisers who will be delighted to assist you. Just takes a call! Firstly then we need to denote specifically just what a 12 Car Rally is: A traditional 12 Car Rally is run as a 'Navigational' exercise on public roads, and as the title suggests, up to a maximum of twelve competing cars. They may or may not include off road tracks. As with all events on the public highway, they must be timed at 30mph or less. No section to be more than that ..... period! The route should be divided into smaller sections, separated by 'Time Controls', and the Navigation metered out section by section, so at each time control, competitors plot the route for the next section, then drive it (or 'Plot 'n Bash as this format is known). The 30mph time/distance naturally presents a time schedule, or due time at each time control, and you have a target time for competitors to attain. It is expected that competitors lose time at some time controls, amassing a total of minutes (or marks) at the end of the event. The one with least time lost, subject to code boards or route checks, is the winner. Note: No one other than the organisers and the RLO should have any of the route before the start of the event. As usual, with anything worthwhile, planning ahead makes all the difference. As 'Clerk of the Course' you are essentially 'Project Managing' the Rally, and as such you need to create and adhere to a developing Timeline. Outlined below is a rough list of deadlines which will occur in the run up to a successful event: Planning should commence as soon as you have a mind to run a rally, but as a minimum you should consider starting your planning 12 weeks (or 3 months) ahead. I personally like to get things going long before that (20 – 24 weeks ahead). You will appreciate why later. 1 Route in to the RLO for approval. 2 Confirm permit application with Comp Sec. 2 Finalise and launch the regs. 1 Layout Management Spread Sheets. 2 Drive the route. Siting controls and noting hazards and mileages. 2 Have Navigation checked by someone competent. 1 Drive route again - check mileages and sitings – Note any further hazards. 2 Finalise Road books, Navigation, Marshals info etc. 2 Finalise and send out 'Finals'. 1 Drive the route again and put out the code boards. 2 Bask in Glory and adulation! One of the first things to do is to get the route in to the RLO (Route Liason Officer). His role is to supervise and regulate the use of the area (usually by county) over which we want to run an event. This covers ALL motorsport in that area, so even a Special Stage Rally has to be approved by the RLO before the MSA will issue a permit. The RLO has the unenviable role of liasing and maintaining harmony wherever possible between local residents not involved with the sport, and the likes of us who are. It is a tough job and a there is usually a lot going on in addition to our requirements, so please respect him at all times. The route of a rally goes a long way toward dictating the character of an event. Drivers are there to be challenged, but not to the point of smashing their cars to pieces. Choose your route carefully. Try to avoid running through too many built up areas and speed limits. I know this is getting more difficult with constant development and such, but running through a built up area on dipped lights and the highest possible gear is not what Rally Drivers are there for, so try to minimise their use. Similarly, excessively rough tracks and 'White Roads' are to be discouraged. 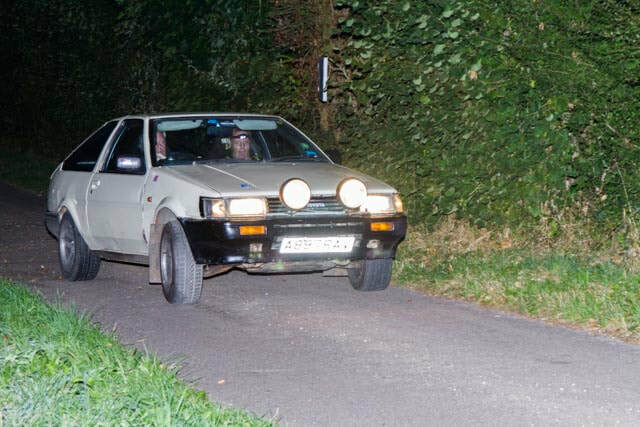 Whilst some of us relish the opportunity to blast a fully prepared car over such terrain, the majority of 12 Car contestants are in their everyday transport, or the wifes runaround. Again we don't want damage to put people off from coming back again. A good route will incorporate challenging, tight and twisty lanes. Navigational features like large triangle junctions, and some good tight hairpin bends and junctions. Note when you are planning your route which way the 'Give Way' junctions are layed out. For example it's much more fun to 'slot into hairpin right' than to 'Give way, turn Hairpin left'. I like to put a few straight sections in too. Far less challenging but allows the cars to cool down a bit. 12 Car Rallies are essentially small local club events, aimed toward practise and training for bigger events. Ideally 50 – 60 miles duration, which will run with all allowances for approximately 3 hours, is ideal for a finish before closing time. Alternatively, the 100 mile events tend to run later and finish in the early hours of the next day. 100 miles should really be the maximum for a 12 Car. No motorsporting event can take place on the British Highways network without a permit, or a 'waiver' of permit, from UK Motorsport's governing body, the MSA, or 'Motor Sports Association', run by the RAC. Therefore we have to apply for a permit to run. This is arranged by the club's Competition Secretary, and will be applied for as soon as you ask him to. However, no permit will be issued until the MSA have been notified by the RLO that a route is authorized. It is imperitive then to get the route into the RLO as soon as you can. If there are problems with your route, such as another club has an event in the same area on or close to the same evening, or there is a PR issue on your route, then your route will be rejected and you will be invited to resubmit with an ammended route. You must allow time for this just in case. Once the application has been made, there is no further action needed regarding the permit, until much nearer the event. An occasional query to the Comp Sec regarding it's progress won't do any harm, but please don't bombard him every day. It's not necessary. As 'Clerk of the Course' you will have the last say in how the event is run (Also all the responsibility). Consequently you will have so much to do that delegating some of the workload is very attractive and practical. You will be required to work closely with these people so choose carefully. Remember they don't 'have to' take the position offered, so ask nicely. You will need a Chief Marshal, who should recruit and detail marshals for the event (Big job). An entries Secretary, who should take care of all correspondence concerning competitors (Some organisers like to do this themselves. It's optional). You may require a 'Scrutineer' or a 'Noise test' official. Currently not mandatory but watch this space. The Chief Marshal can take away a lot of hassle. By organising and detailing the marshals he can relieve you of a big headache, but be warned. You will still have to work closely with him from time to time, so make sure it is someone you get on well with. It is a good idea for both the CoC and the CM to tour the proposed route, sharing input on the siting of controls, code boards etc. Two minds are always adviseable and familiarity with the event pays dividends. You will also require a DSO (Driving Standards Observer). This is a BMC club requirement on all Road Events. In terms of 'doers and helpers', the more the merrier. However you must keep them in the loop and have regular team meetings to update everyone. Also so you can make sure that they are up to speed and on target. Once you have the outline of event, the route approved and the list of officials finalised, you can get on and get the regs published. It is important to get the regs out in plenty of time, and don't assume that just because they are out you will get a full entry. You have to push it. Regs should be e.mailed to the Comp Sec of all the invited, and all the local Clubs, to the Club's Media Officer for inclusion in the club's website calendar 'Wosson', and posted on all the appropriate Facebook and Twitter pages. Also, don't forget Bill Mexon's '12 Car Capers' website, and Suze Endean's '12 Car, Scatters and Navexes' Facebook Group Page. Don't forget that most other Motor Clubs also have FB and Twitter pages. Get regs on there too if you can. For sample regs for download and editing, click HERE. Rally navigation is a very broad subject. It is easy to overdo it, so unless the event is purely for experts, don't be too ambitious. Remember that plotting a route at home in comfortable surroundings is a lot easier than when under pressure, in a dark car at night. Experienced experts are likely to crack it very quickly whatever you give them, so bearing that in mind, keep it straight forward and let them make their own mistakes 'cos they sure will. 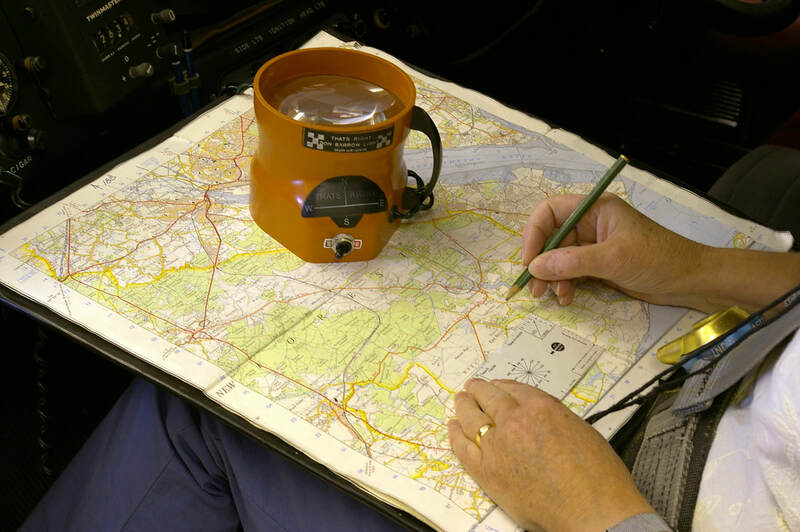 It is common practice amongst many southern clubs to provide 'marked maps' for beginners, and more basic navigation for Novices. 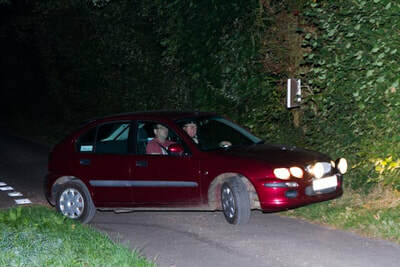 This is good practice as it virtually ensures that there are no major navigational difficulties, and the 'newbies and novices' can enjoy their early experiences on a rally. For some sample 'Novice' navigation, click HERE. All the navigation methods shown here are expressly novice, although some variations will be suitable for experts too. So you now have a route, a few organising team mates, a permit applied for and the navigation worked out. Now it is time to put it all on paper. You will need to produce a roadbook, navigation hand outs, 'To whom it may concern' notes and damage declarations. I will start with the roadbook. The roadbook favoured by both marshals and competitors alike is the 'Summertime' type. This where the due time plus all the allowed lateness minutes are printed sequentially over two lines. This is repeated for each section, and the time given is simply 'circled' at each control by the marshal. The card also has provision for recording codeboards, affirming correct approach to a TC and a space for the marshal's signature. Organisers love this one too as it's simplicity eases calculating results. A sample Summertime Roadbook for editing can be found HERE. This 'Exel' format spreadsheet has all the necessary formulas to allow you to produce a customised Summertime road book. Overtype the coloured squares with the equivalent details applying to your event, and it should work. By setting the start time and start number of each car, the program will automatically adjust. Set each one and print individually (only 12 required). Navigation handouts are usually given to competitors at the start, in separate sealed envelopes. These to be opened only at the appropriate TC. Ideally all the navigation should be printed on a sheet of paper, which is cut up and sealed into envelopes (allow a full evening for this - that's a lot of envelopes). However, for now you should just create the master copies and have them checked by a capable navigator. It's better to find mistakes now rather than later. A 'Damage Declaration' sample for editing can be found HERE. A good idea for this one, is to print it on the back of the time cards. That way they have to be handed in at the final MTC, where the marshal can check that it is signed. A 'To whom it may concern' note sample for editing can be found HERE. These are for use by crews in the occasional situation where a local concerned resident needs confirmation and a contact regarding the rally. By now you will know how many control and code boards you need on the night. It is adviseable to check with the club Equipment Officer that all are available. Unlikely that it's not, however just to be on the safe side of things the sooner he knows, then the sooner he can provide extra if needed. With about a week to go you need to be making sure that everything is as it should be. Another run around the route to make sure that roads have not been closed for roadworks etc. and a re-route is needed (It does happen). Make sure that all the control sites are still available and note any excessive potholes and hazards. 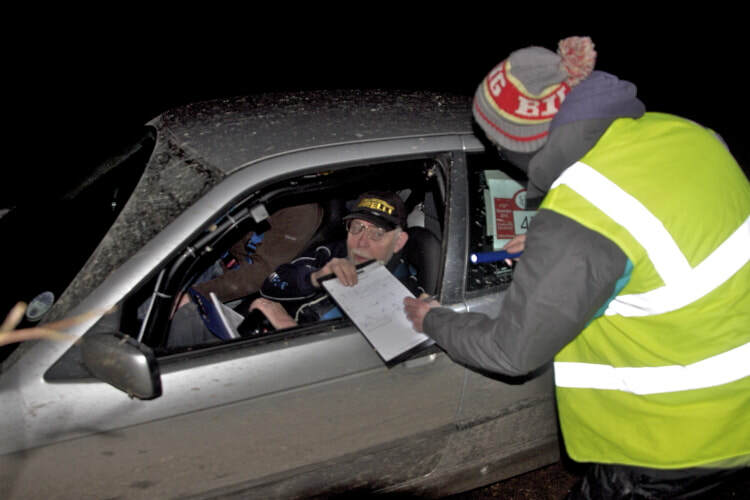 Next job is a quick check with the Comp Sec to make sure that you have a permit and the necessary insurance cover arranged, then to get the finals out to competitors (and marshals).